Hi there! Happy Sunday. The week is pretty much over, and it’s time for my weekly blog recap. If you’ve missed a post that you might have liked, here’s what I’ve been up to on my blog this week. On Tuesday I reviewed a sheet mask. Click here to read the post. I wrote about 2 of Radox’s Scent Touch shower gels on Wednesday. Click here to read the post. 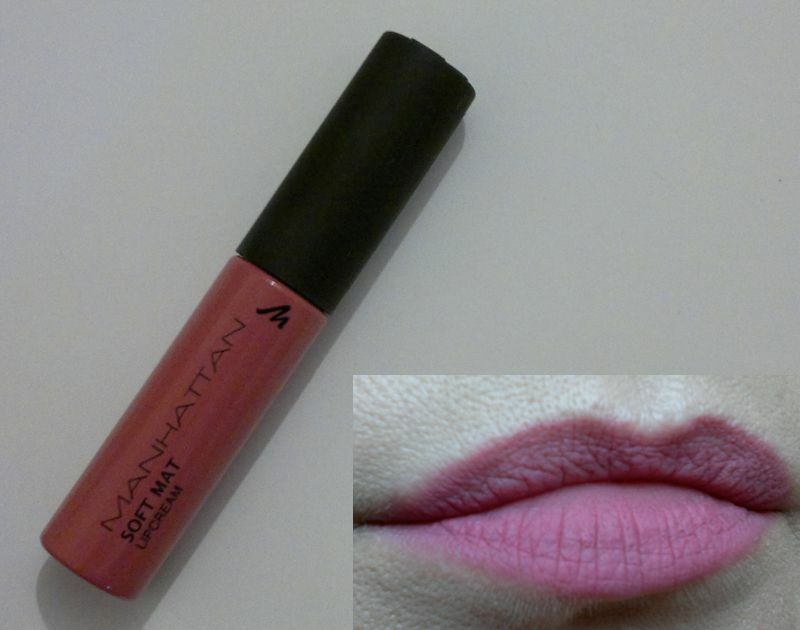 Thursday’s post was about a lip product. Click here to read the post. 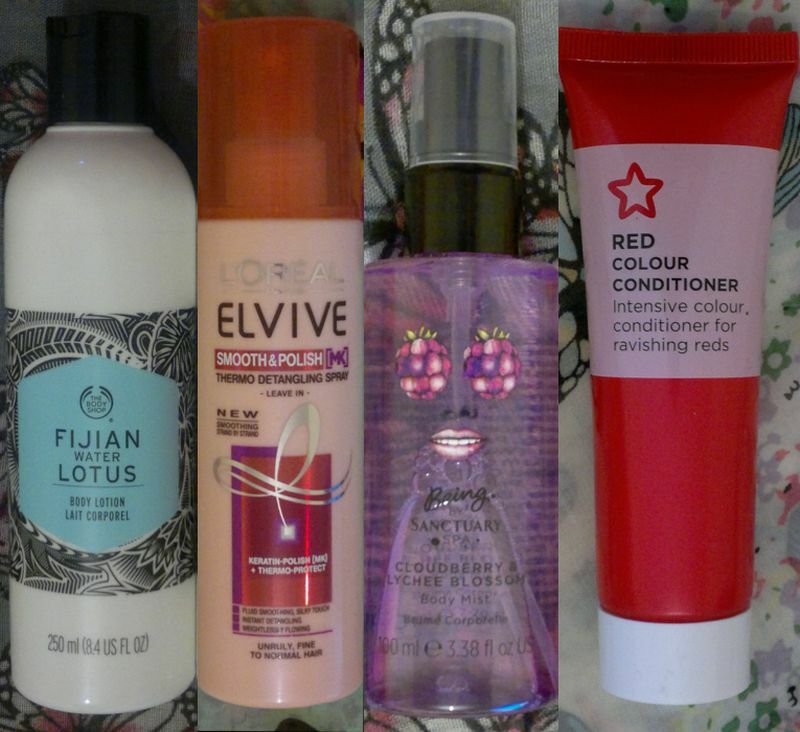 And on Friday I told you which products I love the most this month. Click here to read the post. This is it for this week – and this month. Enjoy the day! And thanks for stopping by! Hi there! It’s the last working day of the month, so it’s time for my monthly favourites post – a.k.a. 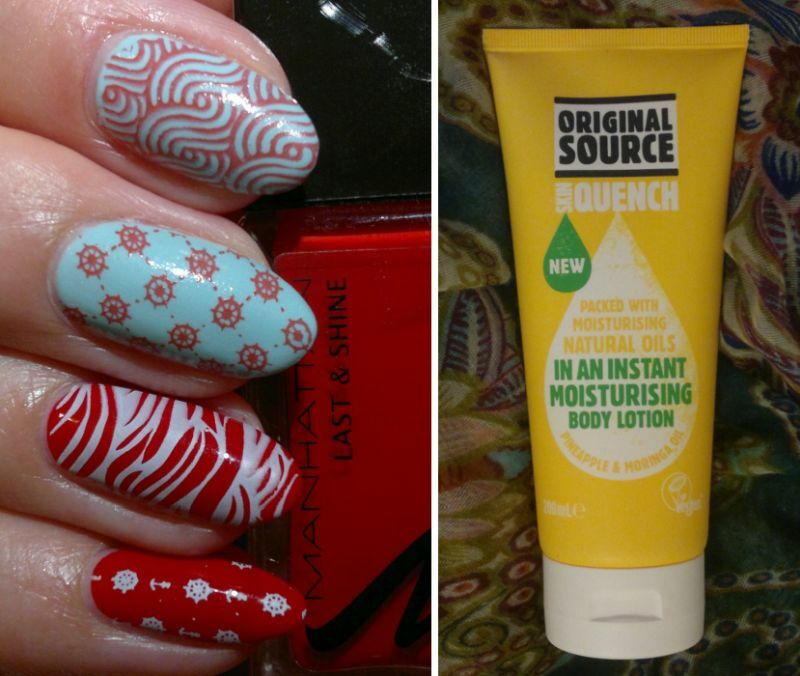 Mrs Strawberry Blonde’s September Beauty Awards. As always, I’m telling you about my top 3 products, and there are a few honourable mentions as well. 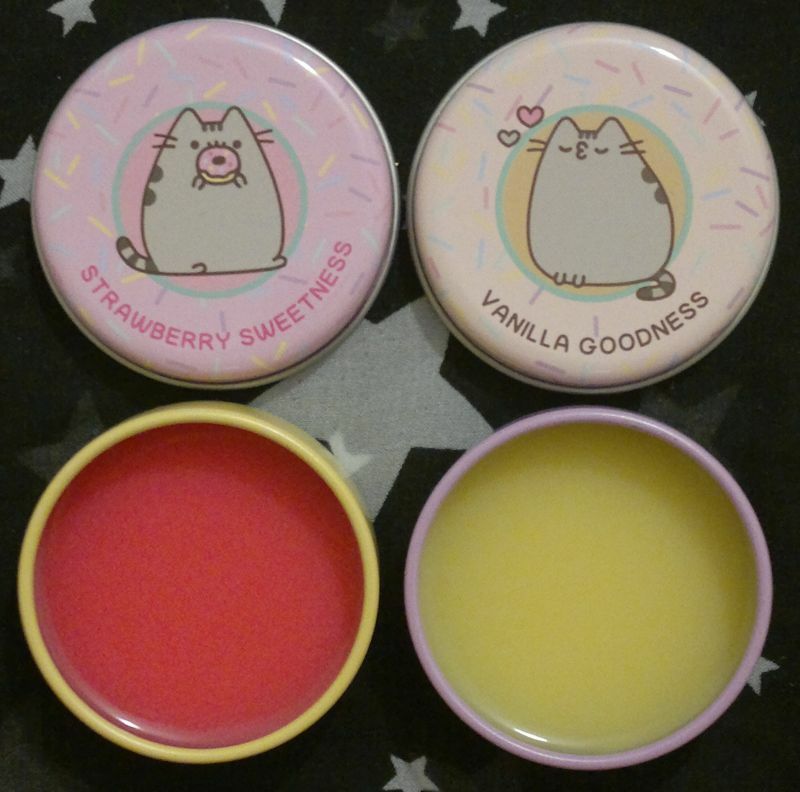 I love these lip balms! And the cute Pusheen images are an added bonus. Awesome stuff! 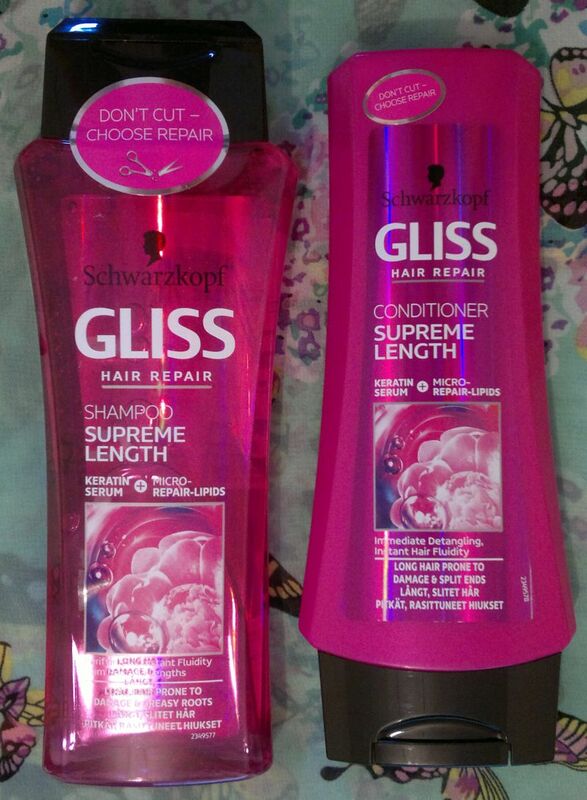 Gliss’ Supreme Length hair products are simply amazing. They’re in my all-time top 10 of hair products. 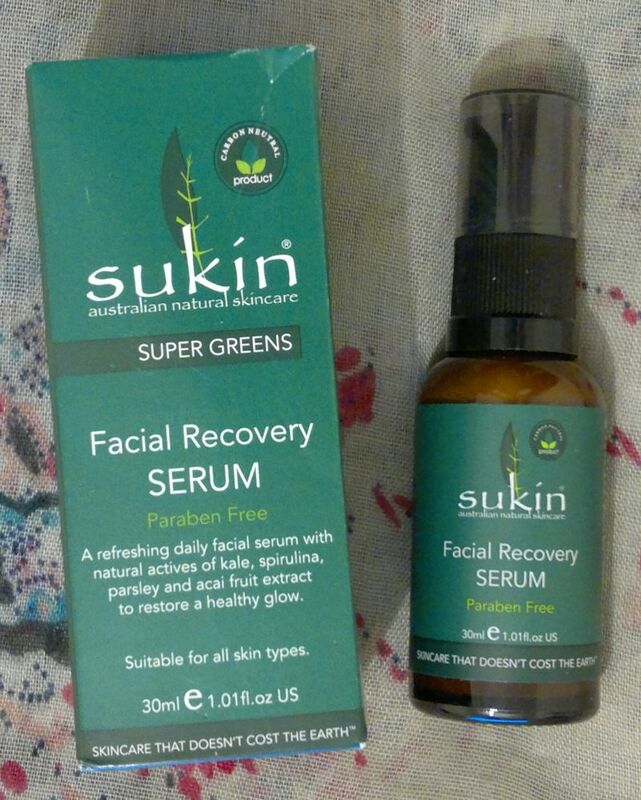 This serum is simply awesome! I would recommend it to everyone! It’s a truly impressive product! Onto the honourable mentions! I like Prada’s Infusion d’Iris Eau de Toilette very much, Creightons’ Pink Grapefruit Mattifying Face Mask is a total bargain, Nivea’s Waterlily & Oils shower gel is sensational, and Possibility’s Amber & Lavender Shower Scrub is another awesome product. Hi there! 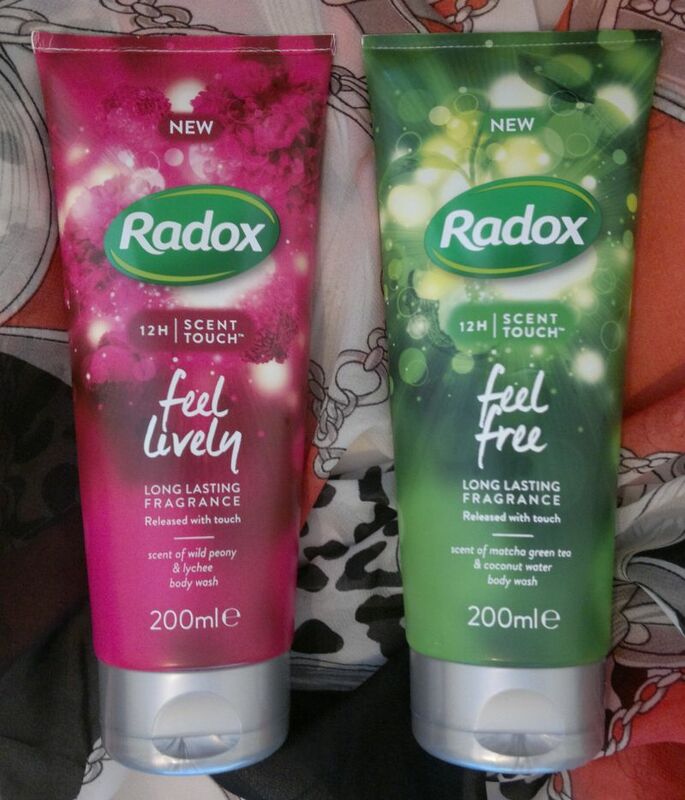 Today’s post is about 2 Radox body washes – Radox Scent Touch Feel Lively and Radox Scent Touch Feel Free. These body washes promise to leave skin smelling gorgeous for up to 12 hours. I do like Radox Scent Touch Feel Free with green tea and coconut water a lot better. The fragrance is very strong too, but I like the green tea fragrance, so I’m happy to use this body wash.
Bottom line… the scent touch technology really works. The fragrances of these body washes stay on the skin for several hours. If you like to smell perfumey without using perfume, you should give these body washes a try. Radox Scent Touch Feel Lively and Radox Scent Touch Feel Free are available as 200ml. I paid £1.48 each. Hi there! 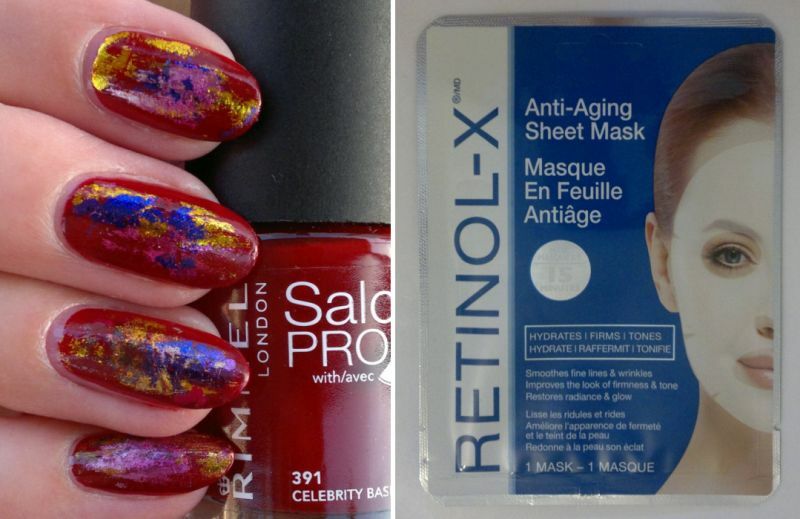 Today’s post is about Retinol-X Anti-Aging Sheet Mask. This sheet mask promises to make lines and wrinkles appear smoother, to improve the look of firmness and skin tone, and to restore skin’s radiance and glow. The key ingredients are vitamin A, green tea, aloe vera and vitamin E.
I bought a set of 5 of these masks, and I’ve already used 3 of them. Based on my experience, I would say that the mask doesn’t do anything for me. It makes no visible difference to my skin at all. I think these Retinol-X masks are a total disappointment. 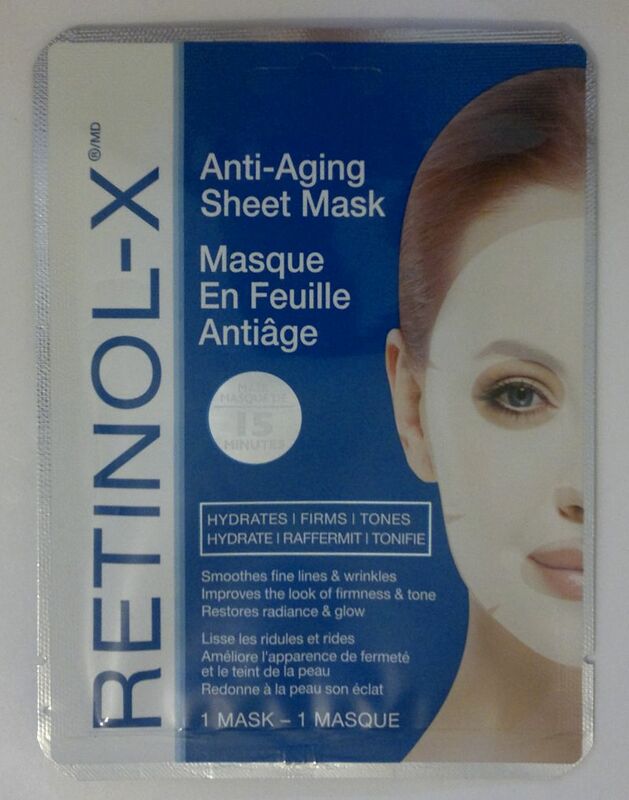 Retinol-X Anti-Aging Sheet Mask is available as a set of 5 masks for £4.99 (TK Maxx). If you’re looking for a sheet mask that really helps make lines and wrinkles less visible, try this Boots Ingredients mask or this SpaScriptions sheet mask. Hi there! Happy Monday! I hope everyone had a good weekend. 🙂 I have another Nail Of The Day post for you today. 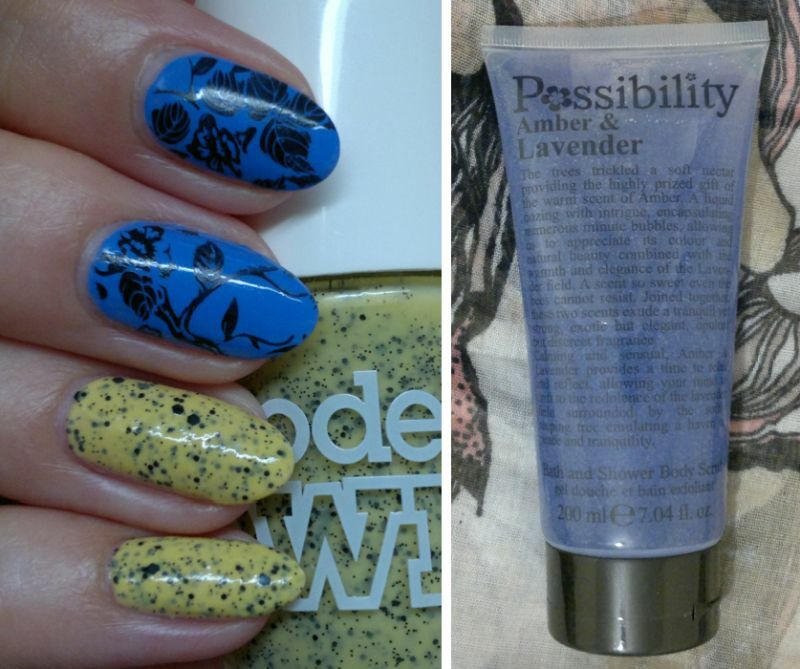 For this mani I painted my nails with Rimmel Salon Pro 391 Celebrity Bash ( 2 easy coats). I like this polish! Great colour, great quality. 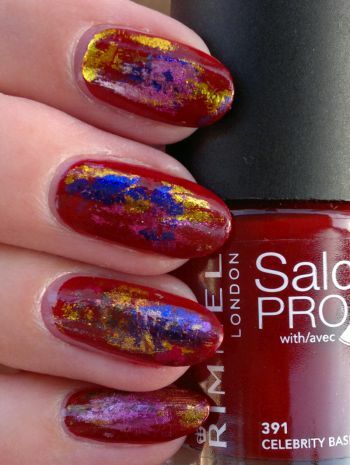 But it’s no surprise because the Salon Pro collection is one of Rimmel’s best collections in terms of quality and colour. Moving on… I wanted to do a foil mani, so I waited until the 2nd coat of polish had almost dried. Then I applied the foils (random leftover colours). Once I was happy with the look of the mani, I sealed it with 1 coat of clear polish. I really liked this mani. I was happy with the random colours, and I loved how different all the nails looked. Hi there! Happy Sunday! Welcome to my weekly blog recap. Read on if you’d like to know what I’ve been up to on my blog this week. On Tuesday I reviewed a body scrub. Click here to read the post. On Wednesday I told you about a number of products I didn’t like at all. Click here to read the post. On Thursday I showed you another mani. Click here to read the post.